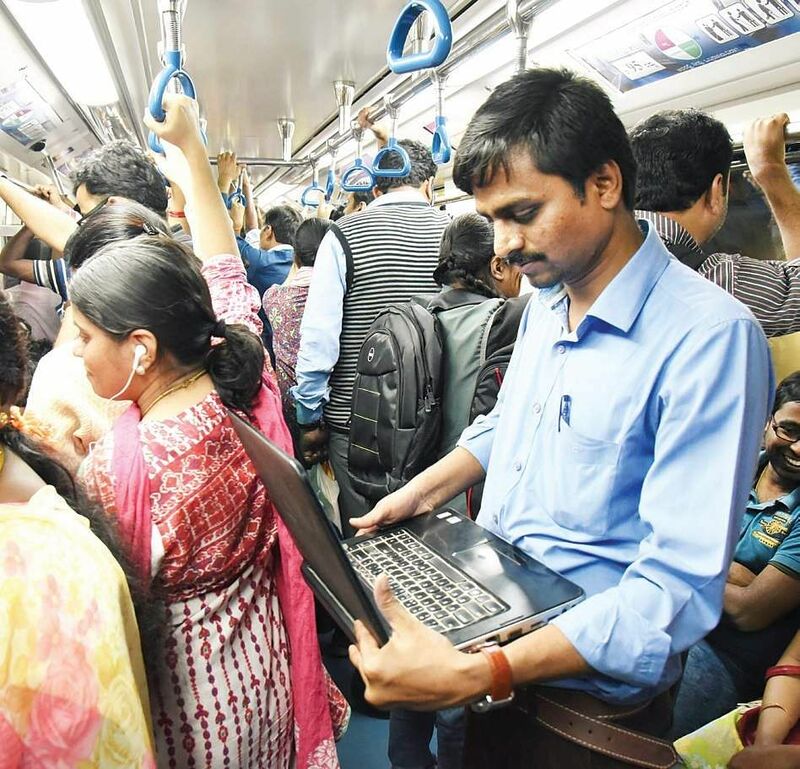 BENGALURU: With the Metro carrying an average of nearly 1.7 lakh commuters each day, can something be done to make the journey more comfortable for riders with small or big baggages? With the I-T crowd and students forming a considerable chunk of these riders, it goes without saying that a laptop bag or backpack travels with them. Why this becomes an issue is that most of them choose to enter and exit a train with the bags on their back unless they manage to find a seat. The consequence: in the case of a jampacked train, the bag actually takes up the standing space of another passenger. Sometimes they also choose to carry a helmet along with their bag in the absence of safe parking at Metro stations, it goes without saying that they pose a big nuisance to co-travellers. A ride on a Metro train between 8 am and 10 am from Nayandahalli to Vidhana Soudha and in the evenings between 5.30 pm and 7.30 pm in the return direction with hardly any breathing space will showcase the problem this poses for others. Billing it as creating “an artificial congestion”, Bangalore Metro Rail Corporation Limited Managing Director Pradeep Singh Kharola, said, “Commuters must form a habit of removing the bag and placing it near their feet or under the seats so that it does not eat up space when the train is packed.” K Harshini, employed as a software engineer in a private firm, said she rarely removes the bag from her back inside a Metro train unless she gets a seat. “Once in a while, someone who has got a seat will offer to help by asking for it. Then I hand it over to them. But I do not request for help on my own,” she added. Hindi teacher at a private school Shilpa Mesta feels that if the bags are placed near the feet, it might come in the way of those alighting or end up getting kicked by mistake. 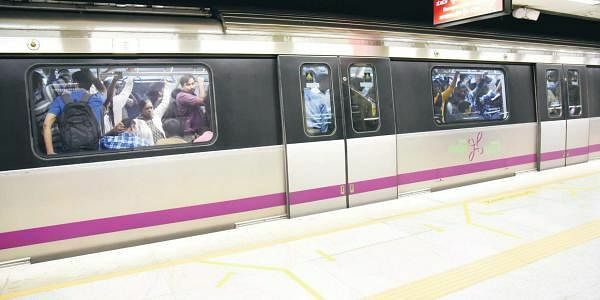 Diana Vaz, an Asssitant Manager at a hotel, said, “It will really be nice if Metro can do something to redress the issue.” Chiranjeevi, a government official, calls for installing luggage racks inside compartments to keep the bags safely. While a majority of commuters this reporter spoke to conceded they carried it on their backs, a few are quite conscious about inconveniencing others like M A Aniketh, a Class VIII student. He was spotted travelling with a huge bag with badminton rackets. “I travelled from Nayandahalli to Majestic. I took care to remove the bag as soon as I entered the train when I found it packed,” he said. So will Metro do anything about it? The MD ruled out creating luggage racks inside the trains. “These are all short distance journeys. We cannot be providing them inside a train.” BMRCL is looking at carrying out awareness campaigns among commuters on this, he added.